Two days mainly of meetings but I spent the rest of the time prowling around the stands and dipping in and out of the keynotes when I could. I think #BETT is in some respects getting better. I really liked the small companies and start-ups sections at one end of the main hall and the digital makers section at the other end of the hall. It is good too that the sessions for School Leaders , HE Leaders , Special Educational Needs etc are now in conference pods in the main hall rather than being hidden away up the stairs. Good too to see much more opennes from UKTI and DTI in having an export strand with some excellent speakers in the main arena. The programme/document/catalogue the BETT Guide is a great improvement too making it easy to find both relevant sessions and the stands you are interested in. On the bill were speakers from ALT Maren Deepwell , JISC as well as some well known names and faces from the cutting edge of learning technology - good to see Steve Wheeler among many others . As usual I met the usual disparate band of Scots on the make and some others overcome by the sheer scale of BETT. I&apos;ve said this in past there should be a better formalised approach to Scottish education engaging with BETT. Quick wave to Colin Maxwell doing his usual stuff on Adobe stand , the Highland schools folk talking up the great work they are doing with Google Apps and Chrome Books , Ewan McIntosh and Ian Stuart of NoTosh delivering ideation sessions to School Leaders and Ollie Bray supporting Intel&apos;s work in Education space. It was good too to spot some local authority and College folk doing the rounds - had a good chat with Clyde College team and spotted Fife College . Hilary Weir from SQA was on the prowl but didn&apos;t see anyone from Education Scotland this year. Good too to see Mirandnet, Niace and ALT folks sharing a stand. I usually start by getting a fix on the direction of travel in England by tuning into the Education Minister&apos;s Keynote at the opening of BETT. This year Justine Greening did not turn up - she was too busy sorting out a schools funding crisis. A real pity as the delegates would really have benefited from some more of a strategic direction from government. It seems like some of her predecessors she may be technologically agnostic when it comes to learning. The system really needs more leadership here. Would be interesting to know what was presented at the pre BETT Conference the Education World Forum open to ministerial delegations only. However Robert Halfon the Skills Minister made some significant contributions on the Friday of the conference. tying in developments in this space to the English government&apos;s industrial strategy and the skills and educational reforms that are underway - this with a particular focus on digital literacy for all including those entering and in the workplace. In that space a new service for finding work placements was launched workfinder.com/ Also worth watching a new European Funded UCL project educatelondon.wordpress.com/ with NESTA and some of the usual suspects involved but looking to drive out more educational technology start-ups based on sound educational research. Watch this space I think. I&apos;ll do a quick review of the bits that jumped out at me . Remember I am interested in things that are vocational in the main. I&apos;ll include a list of links at the end. If there were themes this year that kept jumping out ( indeed they were dancing around on a lot of stands) Robotics and people tripping over each other wearing virtual reality headsets (psst! want to buy a class set? ) - and lots of electronics and STEM kits . I have to confess I am still not sure about Arduino Boards , the BBC Microbit or indeed the Raspberry Pi and all the gadgets that go with these. If they are used in a planned way within the curriculum I can see how they could be brilliant additions to many classrooms and could push on learning - but I can see too that they could easily become - programming exercises in futility - or an expensive box of wires that sit at the back of the classroom only to be brought out on special occasions . One gadget the Pi-Top really confused me, it allows you to build a computer around your Raspberry Pi and in fairness it looks really good - but I do wonder if it would be cheaper and more productive to show learners how to build their own computer out of standard components? There are so many components and kits you can buy that solve real world challenges - why not more of this - I could write a big list - but what about getting learners to make sure their school is served by the right number of mobile hotspots - or figuring out a way to give everyone a reliable device with at least a good browser on it etc. I like practical things but showing me how a circuit board can be turned into a controller that can make a robot dance would not have engaged me at any age. I like dancing and I don&apos;t need a dancing robot. The bits I liked related to how some of these tools can integrate with the internet of things or could utilise Bluetooth and be controlled or communicate with things in the real world like an app on my phone or showing me how the learning the programming of one of the above is applicable to solving real world problems. Make it control a 3D printer that gives me something I need. The usual suspects had big stands in the middle of the arena . Google with separate stands for Education , for Apps , for selling ChromeBooks and I think most exciting of all the Google Expeditions stuff . Most exciting as you can make your own Google Expedition. - This should feature in every College induction programme. I&apos;ve got to say lots of folk still have not got the wonderful collaborative learning opportunities that come with both Google Apps and or the Microsoft Education Suite of tools. Microsoft in some ways taking a more innovative approach with a partner village of lots of suppliers who have integrated with Microsoft365 and other tools - but all with a massive push around Microsoft Surface devices for Education. While the conference was underway there was an announcement that Microsoft is to make a free offering available to all in the public sector and improve their offering around digital literacy I am sure many Colleges will be interested in this. Adobe - doing all the usual good stuff - running practical workshops around getting the best out of Adobe products in education. I have a soft spot for Adobe - yes the software is dear but it is what is used in industry and sessions focus on the skills around making well designed artifacts that are as relevant to the real world as to the world of education. Then there was a big chunk in the middle that always fills me with fear and dread - endless takes on digital whiteboards - I know they have their place - How many more school walls still don&apos;t have one ? but there has got to be more effective ways of selling these things. Lots of school focused Management Information Systems , Curriculum Tracking and Reporting Systems ( how many of these does the system actually need ?) - all with hooks around using big data and learning analytics, but many of them look a bit halfbaked. Also and a reflection on the fragmented English Schools market is , a range of providers of Educational broadband packaged up in some cases with a range of filtering and other services. This area along with virtual learning environment or learning management systems section is where schools badly need some better government guidance and a lead or they stand a very good chance of being thoroughly fleeced by some suppliers. In this space honorable mentions in dispatches to Frog Learning and Firefly who seem to be steadily building up a schools following and to Canvas Learning who are steadily winning business in the College and University sectors. The keynotes could have done with that ministerial lead that was missing from the opening of the conference - without that it becomes a love in , a cosy fireside chat in some respects, if you are among the institutions or individuals that think you have made wise investments and have teachers and learners who are engaged actively in digital learning - you give off an air of smugness during these addresses. If like many folks you are still overcome by all of this stuff then the challenges that Sir Ken Robinson , Tony Robinson and even the ever cheerful Stephen Heppel throws out, just fill education leaders with panic and a litany of excuses around a lack of finances and better still a lack of school , regional or national leadership. I missed Heston-Bluementhal and it could have been a cracking session, but I&apos;m just not sure what a celebrity chef could bring to the global education debate. Sorry to miss teachmeet17 Bett and catch up with Doug Belshaw, Bryan Mathers and many other colleagues but Friday night in London is still just a bridge too far for this Scottish teacher. What were the gaps for me - 1. As there is less money in the system, there really needs to be some clearer direction around even basic things like the place of STEM in the curriculum - surely there is a limit to the number of well intentioned charities or others introducing different arrays of programming languages for teachers and learners. 2 The whole digital literacy debate across schools , colleges and into the workplace needs to be pulled together into something that really serves learning , life and work - there is not enough evidence of a coordinated approach to this. 3. 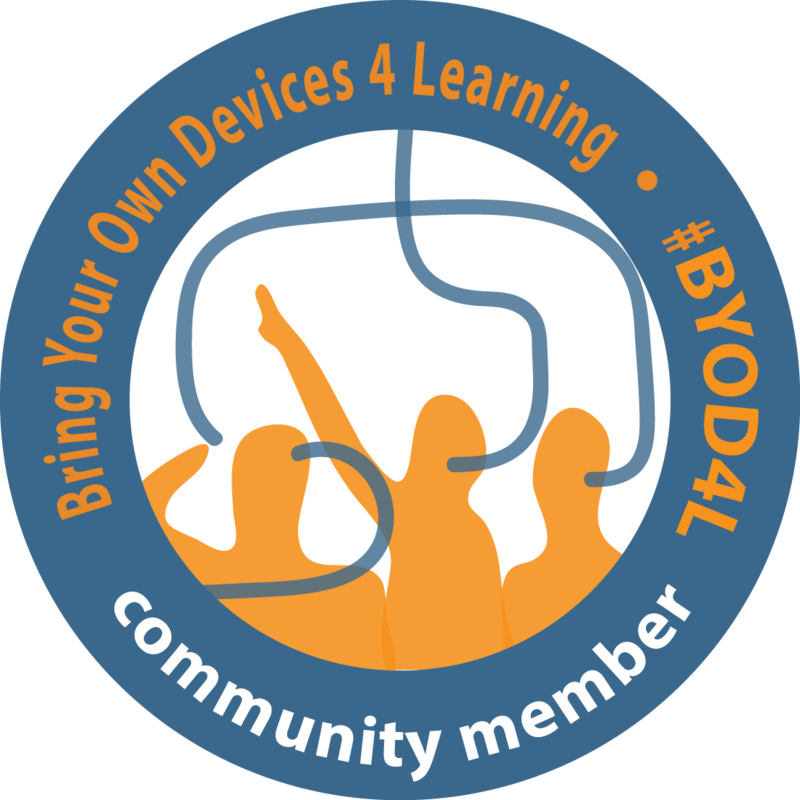 BYOD is the future for most institutions and learners but still not high enough on radars - perhaps as it is easier to sell whole school lap-top or tablet systems. 4. No-one really talking about managing content - that is learning content and sharing of learning materials that is beyond of course the TES offering that gives teachers a platform to sell their learning materials - is this really the way forward? some more talk about Open Educational Resources would have been good. 5. It was good to see github.com/ at the conference better still would be some workshops to show teachers how to use it. 6. And finally and most significantly while on the exhibition floor you can find some great on-line services delivering via webconferencing or through more traditional asynchronous on-line courses there was no real conversation around how massive open on-line courses or the wealth of other courses that are there could be harnessed for staff development or to provide a richer learning experience for school learners. Finally as promised a list at the end of some things that I think are worthy of further exploration - some of these you will already know about - but caught my eye again. bksb.co.uk/ BKSB Support functional skills development in literacy , numeracy and ICT in English Schools and Colleges - including diagnostic assessment and the creation of an individual learning plan. Loopd.Life A closed social network for schools , colleges and employers etc - I&apos;ve seen a few of these - Dundee and Angus College on client list - wonder what the learners think ? Bulb.App The best e-portfolio ever for learners if you read the blurb but will have its uses and has a free account for teachers and learners to try out. Soundtrap - for musical collaboration when you need a closed platform - for schools - but fun and open for everyone else. Sketchfab Three D design modeling and sharing - I can see lots of applications for this. Spellodrome Really for primary learners but takes spelling development to a new level - games, badges all that stuff. Tute - A superb on-line teaching service that delivers on-line classes in most subjects and employs real teachers to deliver remote learning - what Scholar in Scotland should be looking at and what could fill the gap in many schools when there is not the specialist teacher available in that school or where there are too few learners to make a subject viable in a school or where for whatever reason a learner cannot attend school. Thanks Joe for the BETT reflections. Competing demands meant I could not make BETT this year including an Assessment Tomorrow Conference in Edinburgh for Maths teachers on the Thursday. Will look at Tute as you suggest. Philip I've been remiss in checking comments on my blog - thanks for this feedback .